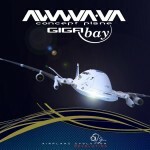 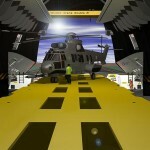 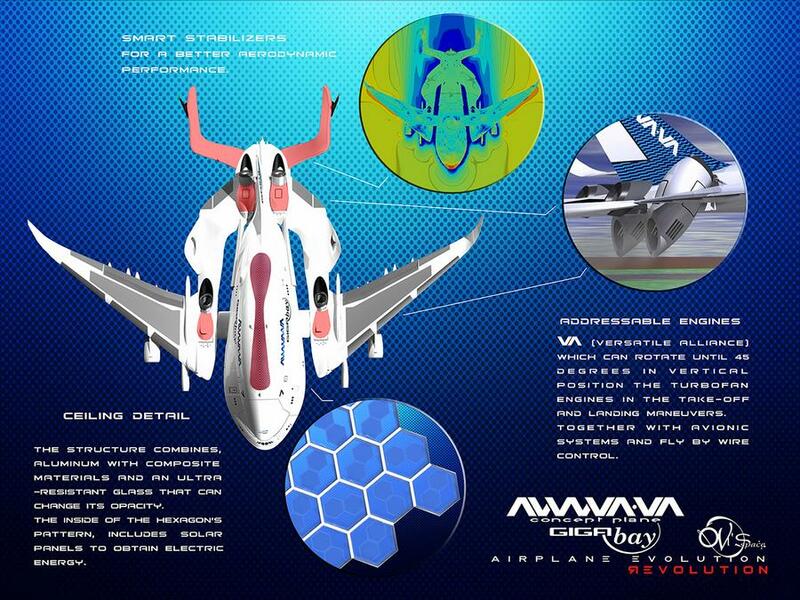 GIGAbay equipped with systems and materials of future technology, with four Hybrid and two electric engines. 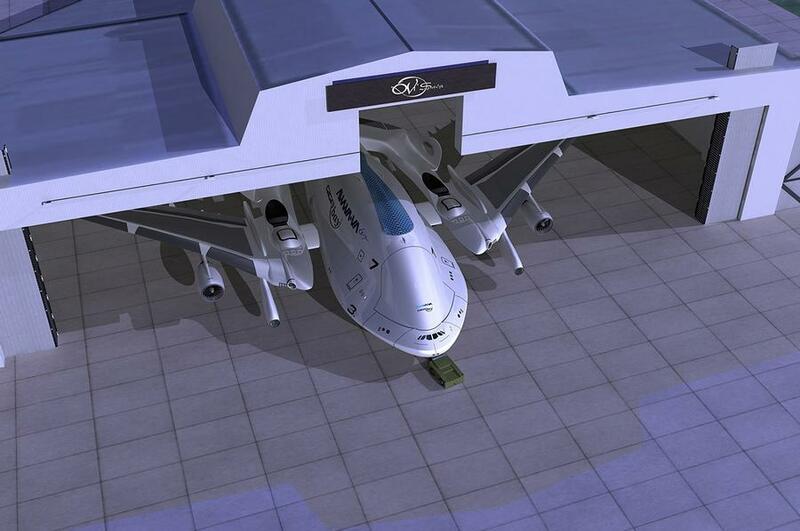 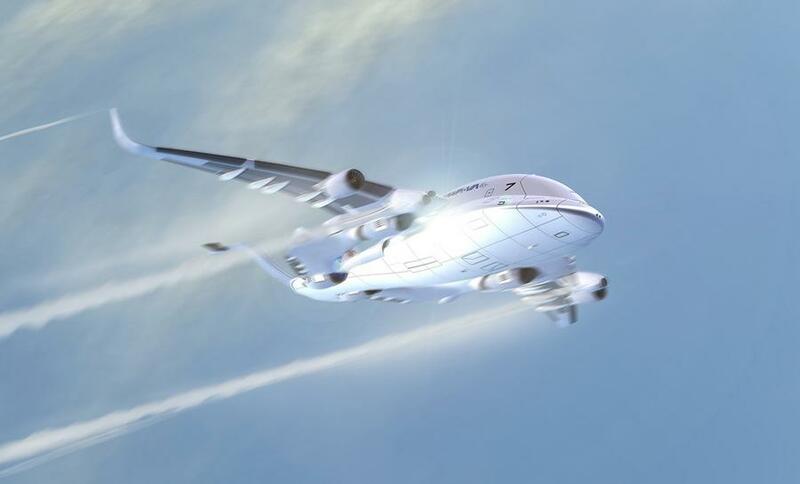 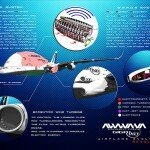 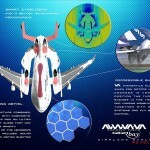 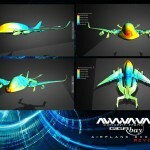 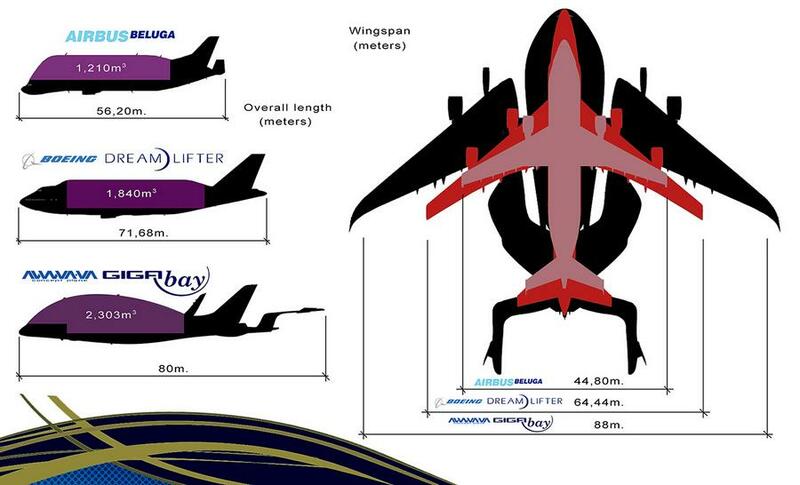 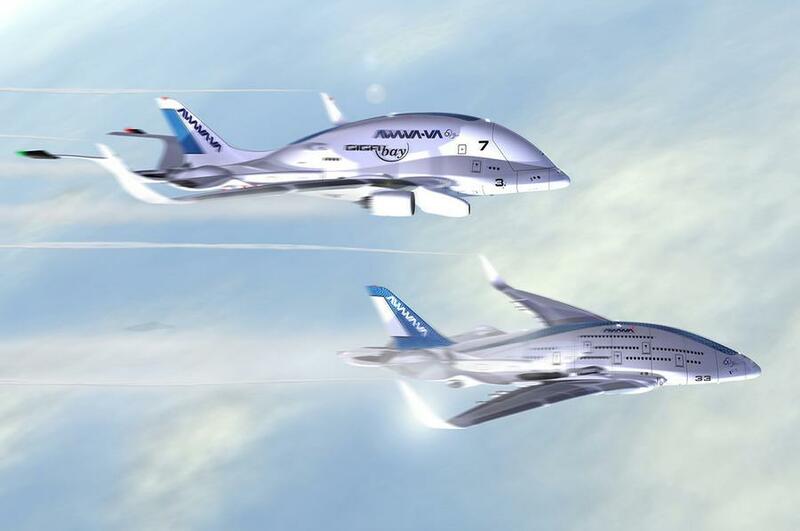 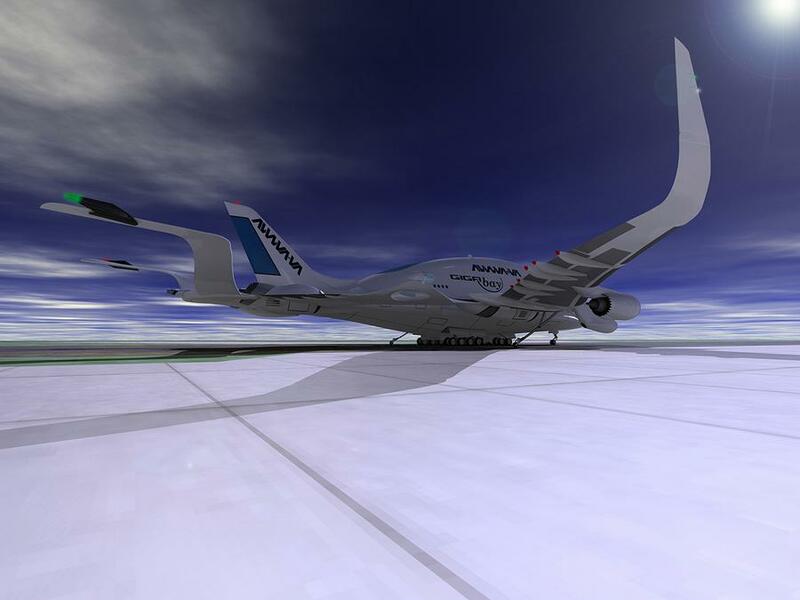 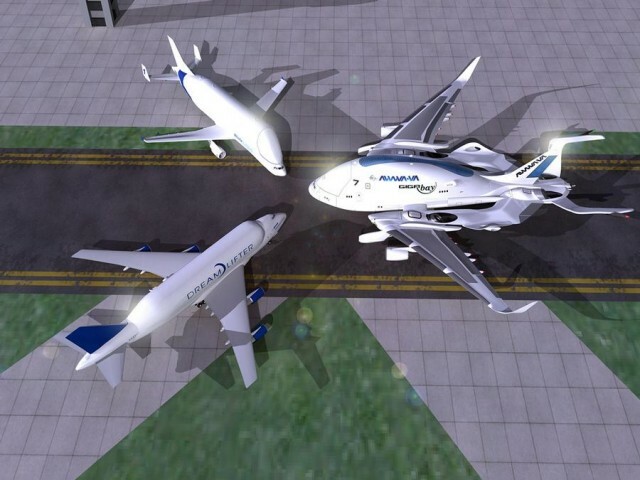 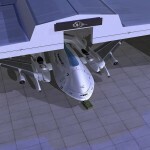 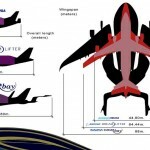 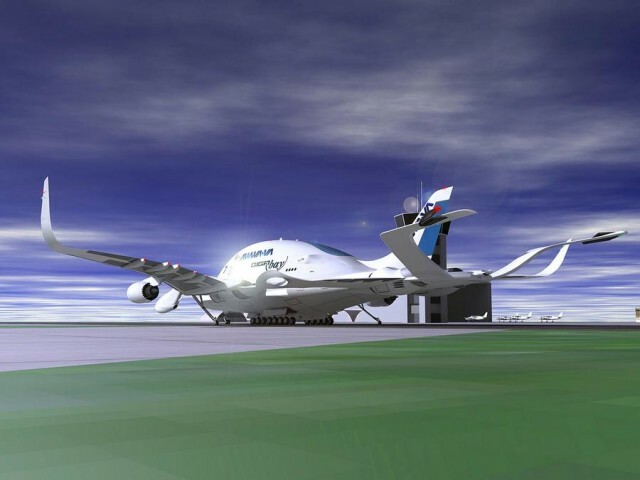 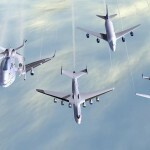 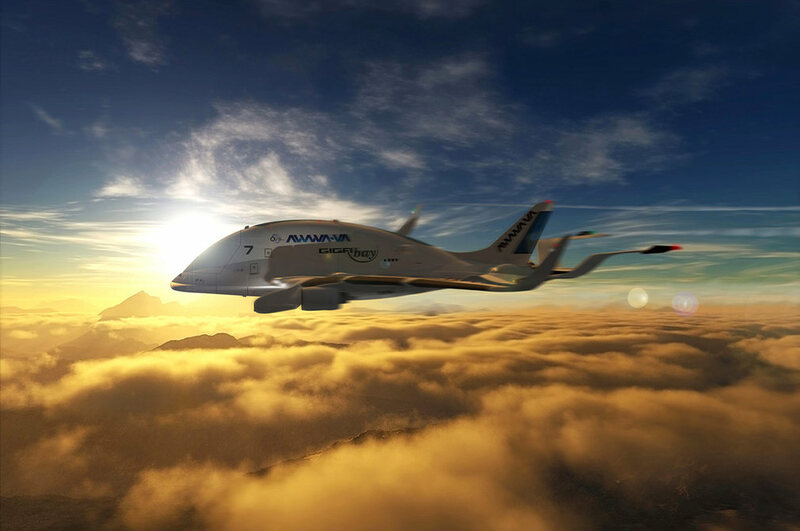 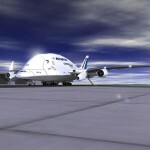 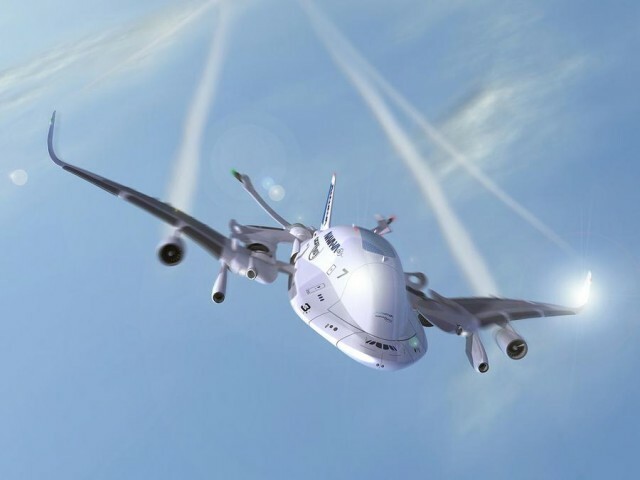 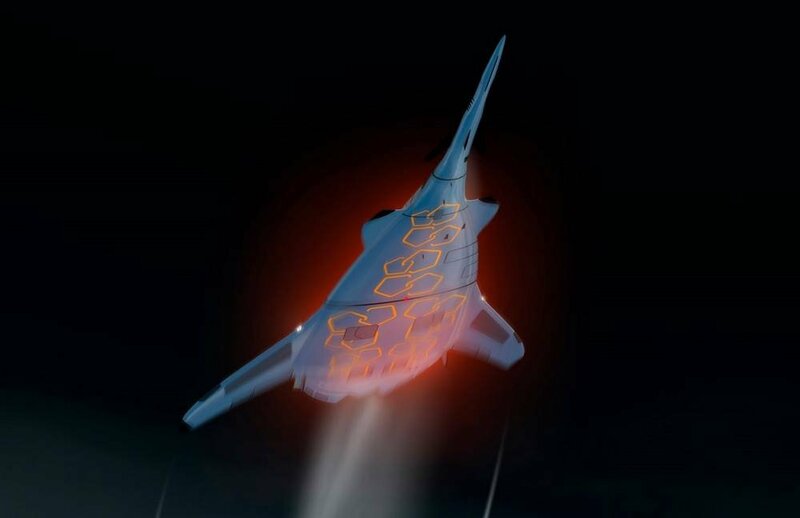 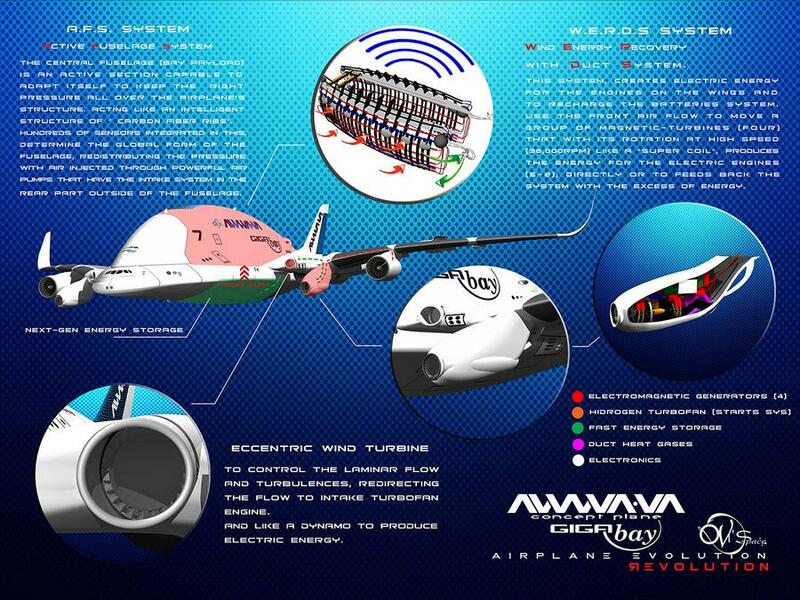 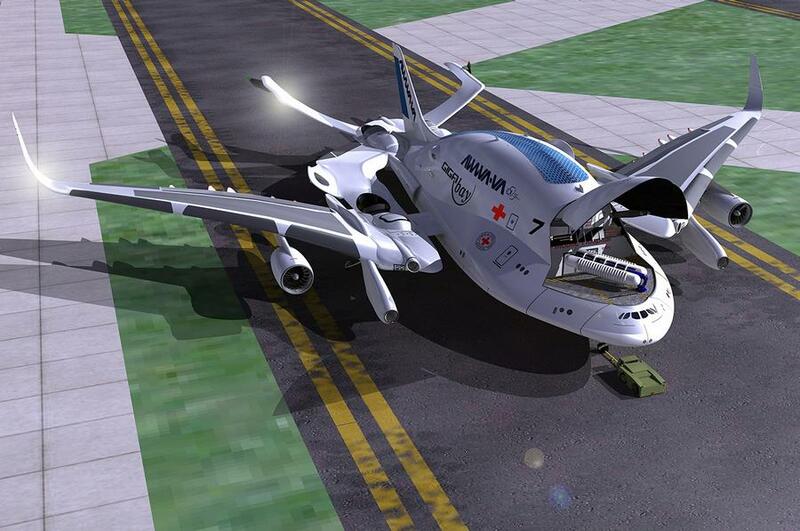 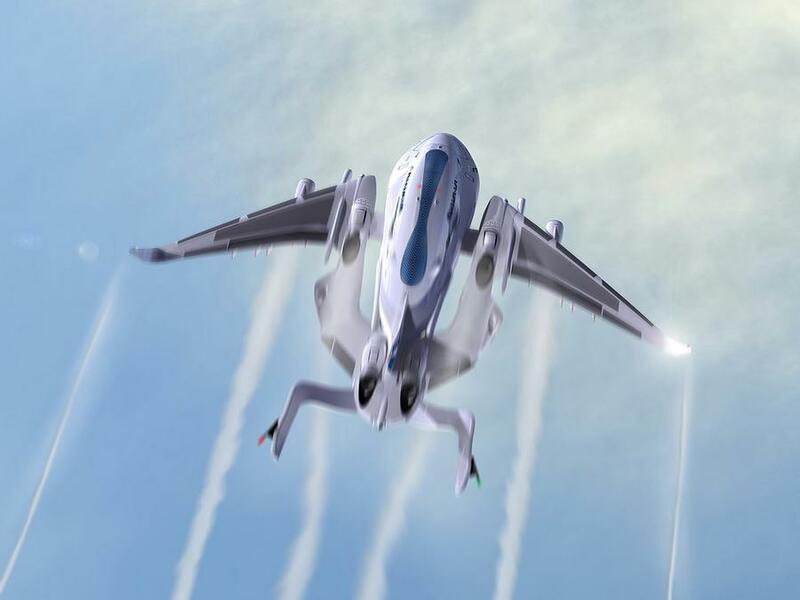 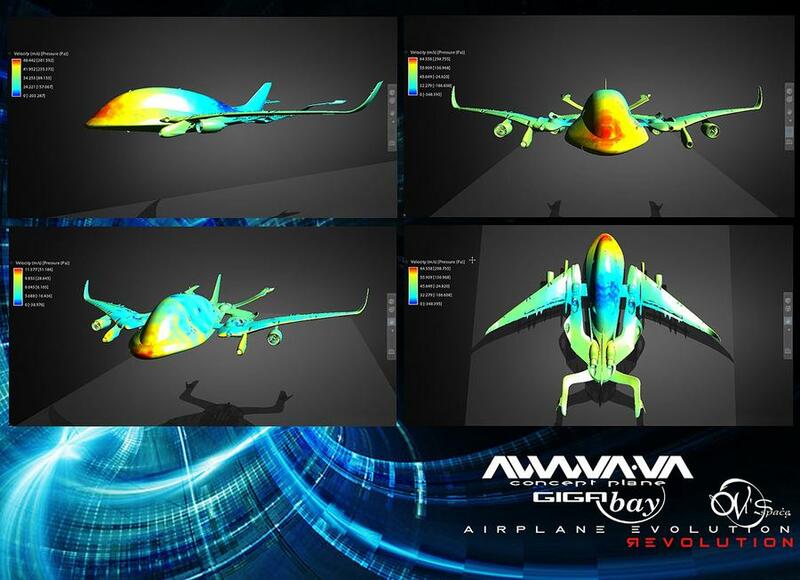 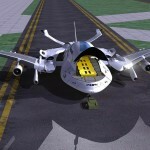 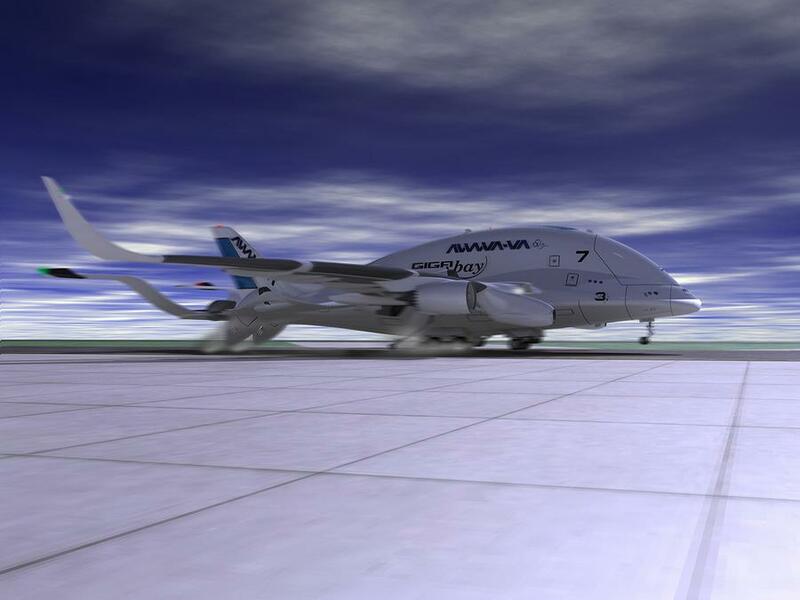 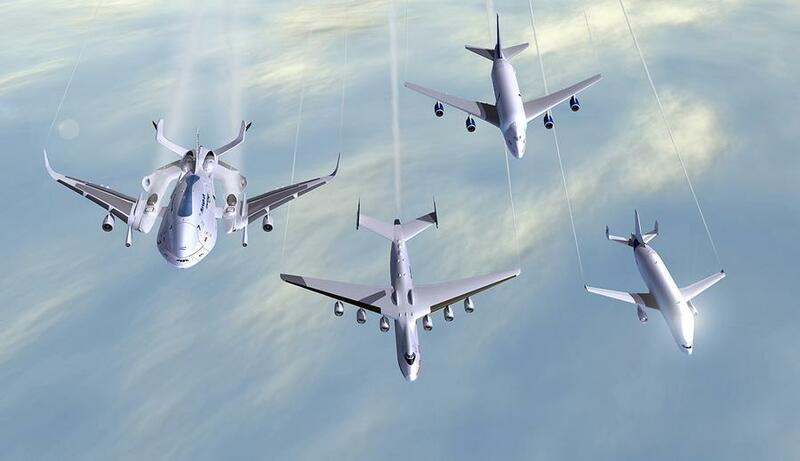 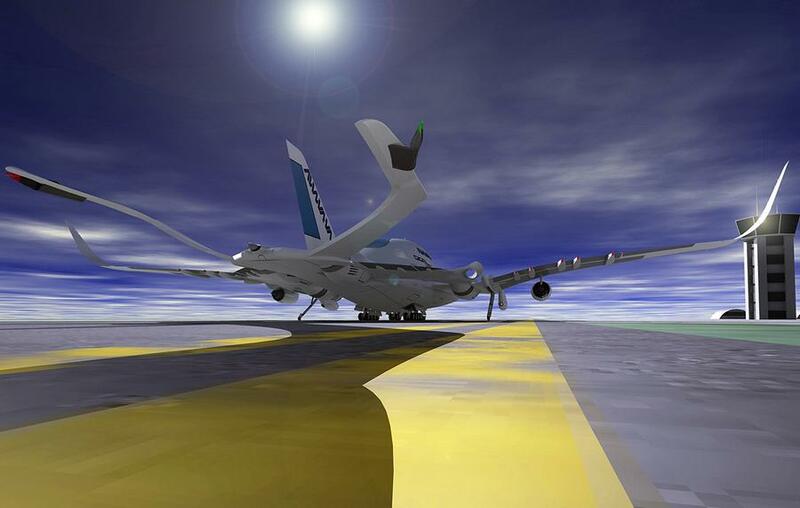 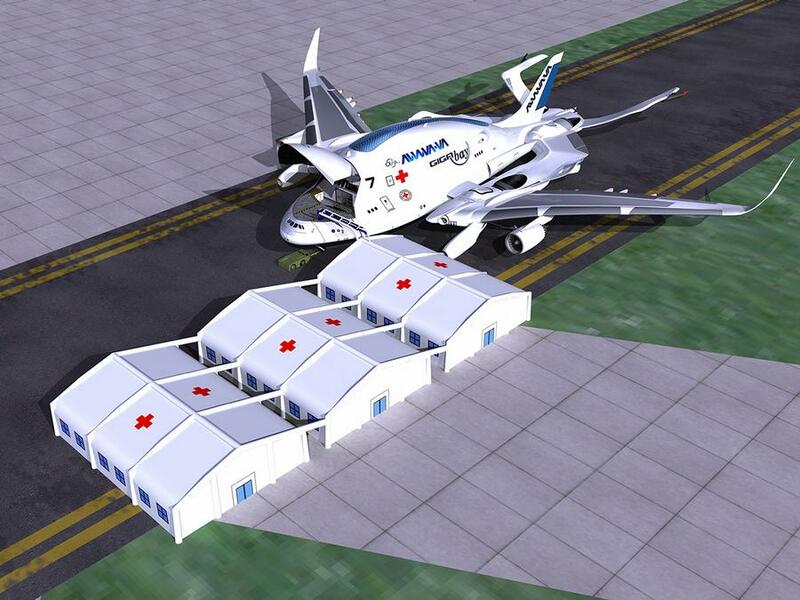 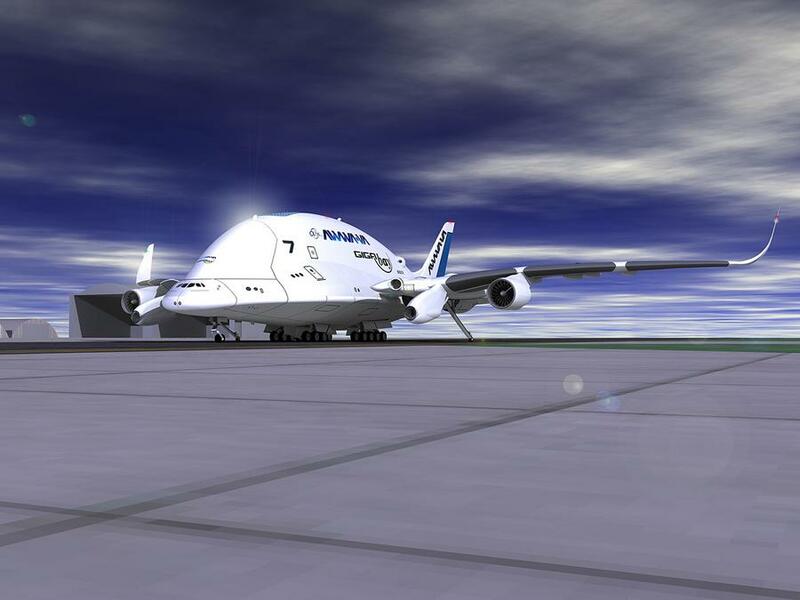 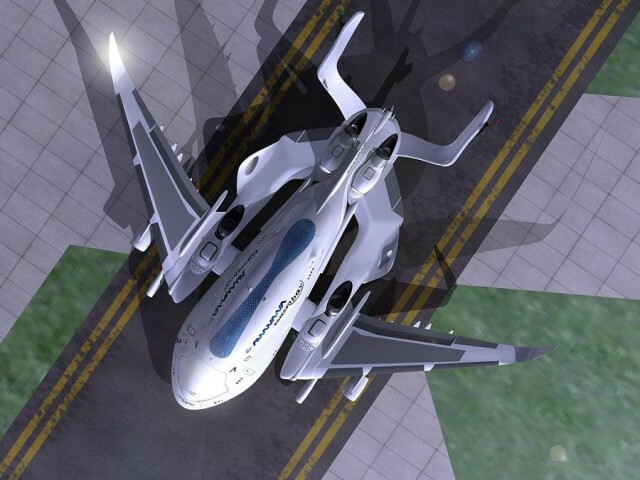 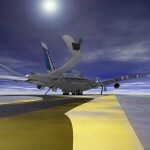 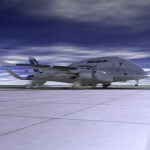 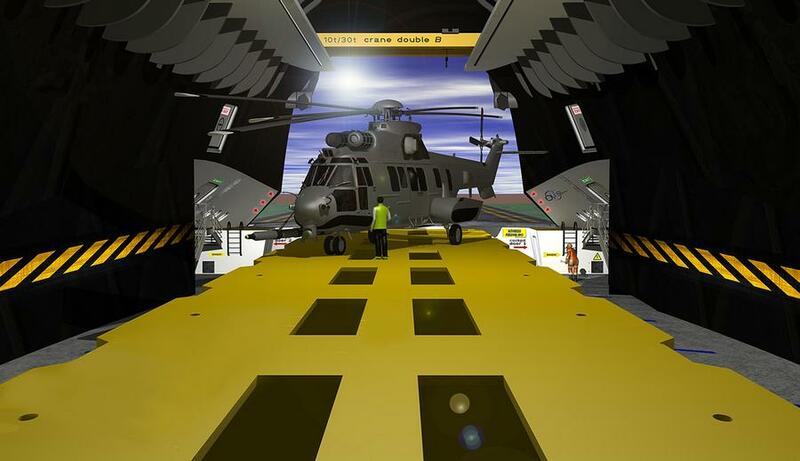 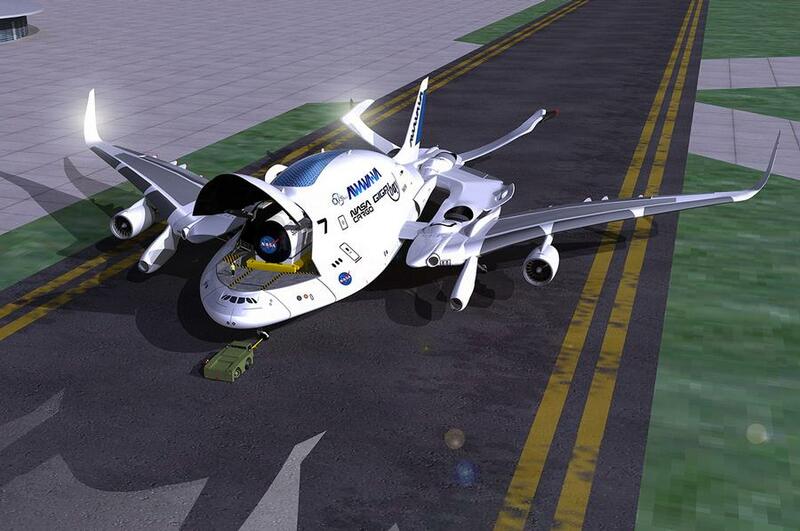 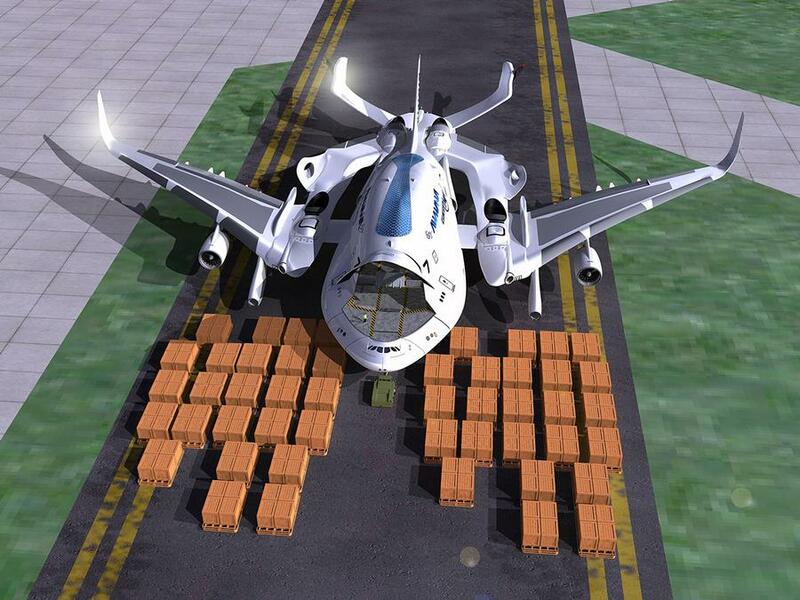 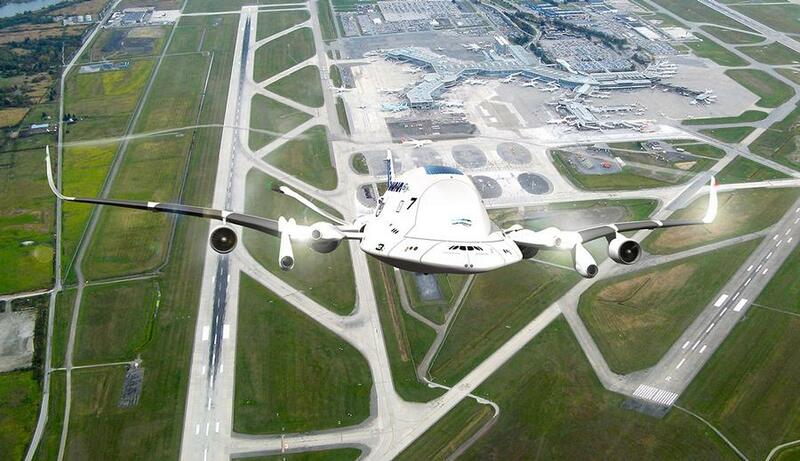 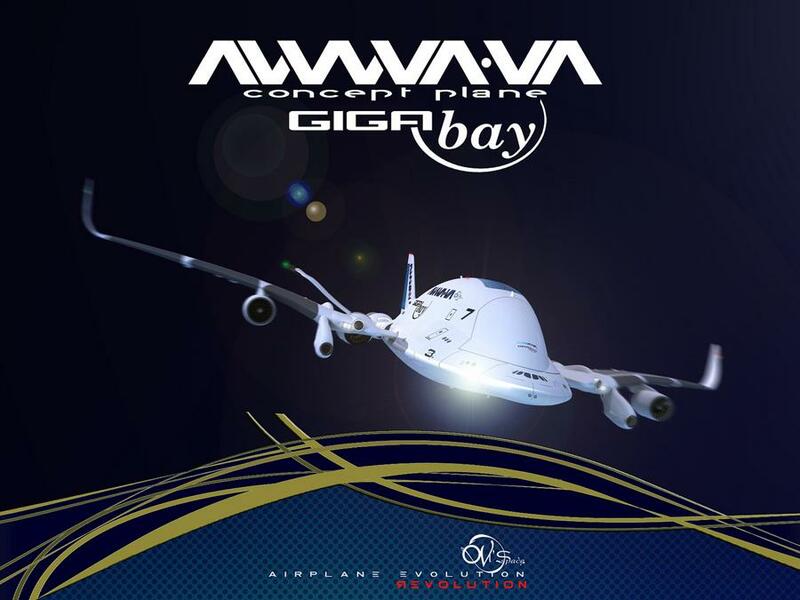 It is the version for cargo transport of the AWWA “Sky Whale” concept plane, with similar base…, would be equipped with a new advanced technologies from alloys, ceramic or fiber composites, carbon nanotube and fiber optic cabling, smart materials (SMA), Hybrid & E-engines (E-e), active wings with wind generators inside, capable to create electric energy with micro solar cells in hexagonal geometry like a part of structure’s ceiling or through two big electromagnetic generators named W.E.R.D.S. 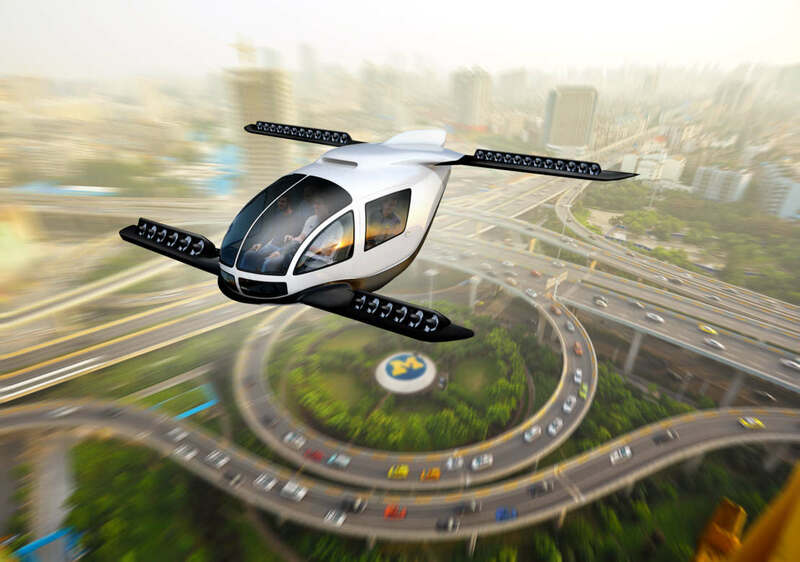 (wind energy recovery duct system) based in superconductivity technology and fuel cell stack –Hydrogen- that transform the air flow in energy. 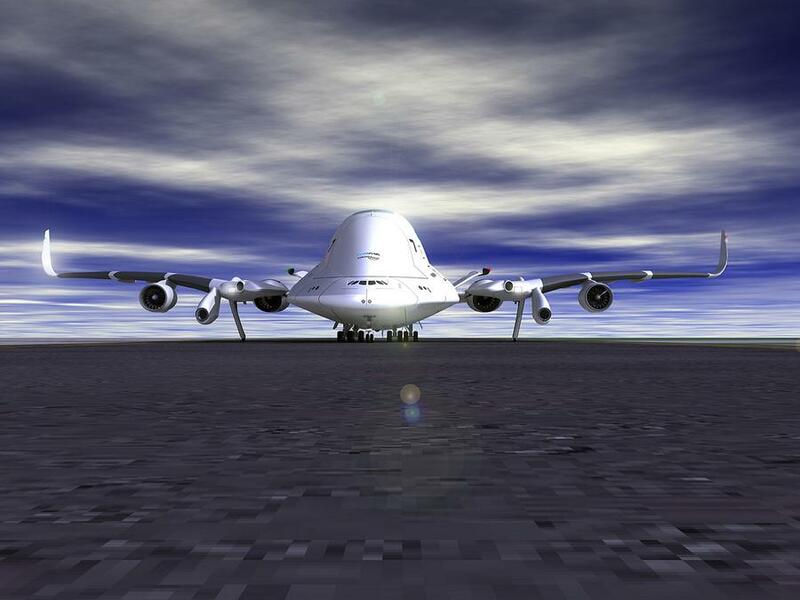 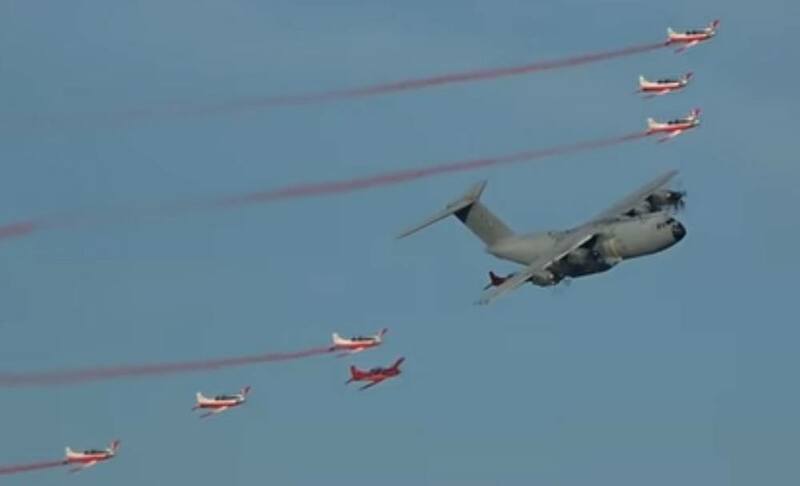 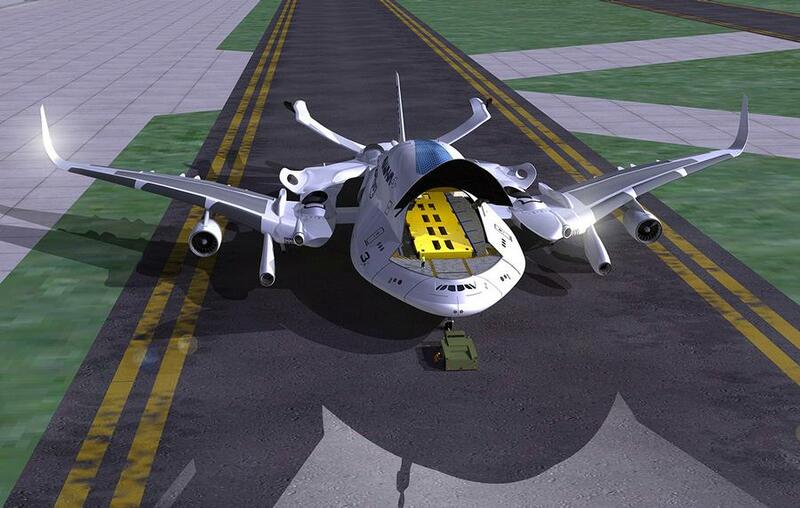 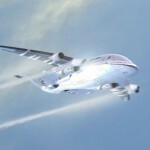 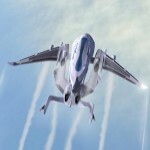 Looks kinda nice, but sadly it violates most aeronautical engineering design rules!